Ladies and gentleman, I have something new and exciting to tell you about. 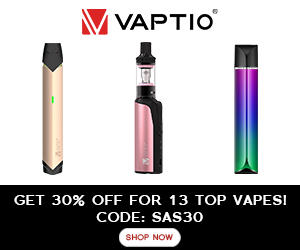 Bringing vaping into the 21st Century is a brand new kind of electronic cigarette – one that actually connects to your smart phone via an app to give you a much better insight into your own vaping habits. It’s called the Smokio ecigarette. I can hear you asking why. Why would you want or need to know that much information about how you vape? The answer is, very simply, this – when you have a better understanding of your habit; of your addiction, you will become better equipped to be able to beat it. When you know what causes you to vape (or smoke) more, and what times you are more likely to puff away on your new toy, you can start to get an idea of how to better deal with it, finding other ways to stimulate or soothe you rather than vaping or smoking. Before you know it, you’ll be a non-smoker. The world first intelligent and connected e-cigarette, the Smokio ecigarette has brought something brand new to an industry that is so filled with cheap EGO e-cigarettes, and even cheaper (and more dangerous) e-liquid. The battery has been cleverly engineered with a smart Bluetooth chip that transmits your vaping information to an application that you can download for free onto your mobile phone. The data transfer is done in real time, and the app even lets you control your e-cigarette – you can check out the battery level and also see how long it has left to charge, as well as being in charge of the vapour density. The Daily Mail featured it a little while ago in an article that gave you a slightly more in-depth look into how the e-cigarette worked, and also how it could also help you to quit smoking. Not just telling you important information about your vaping habits, the app has used data compiled from studies funded by the American Cancer Society to bring you much more than that. You will lean how much money you will have saved by making the change to electronic cigarettes from regular cigarettes, and you will also be shown how much worse your health would be if you were to still be smoking regular cigarettes. It gives you an estimation of how many days you have ADDED to your life by NOT smoking, and can even help to determine how much better your sense of smell and taste has got, as well as blood oxygen levels, heart rejuvenation, and even lung capacity. You can buy the Smokio Kit Mini from Amazon for just £39.99, and this will give you a 650mAh battery which will give you around five to seven hours of use, plus the clearomiser complete with spare coil, and the USB charger, and it call comes in a neat little box with the instruction manual. I would probably recommend reading this seeing as you’ll need to link it with your smart phone and all…. There are other kits of course; the 900mAh Battery Smokio Kit starts at £54.90, and you can buy a number of different replacement coils and clearomisers too.